O2-175 is a modern two-story, energy-efficient house. 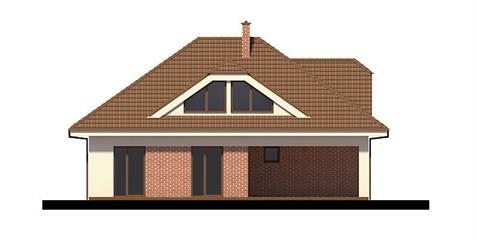 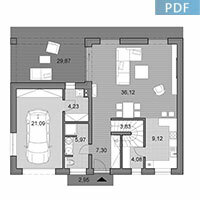 This house is suitable for sites from width of 16.75 m (clear distance of 2 m on both sides). 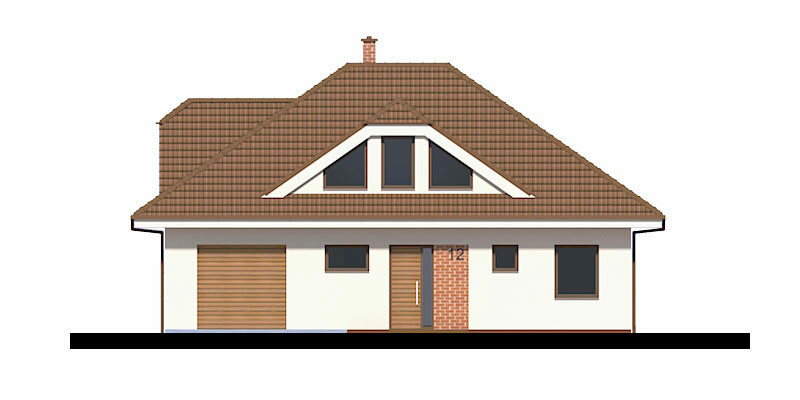 The house has three bedrooms. 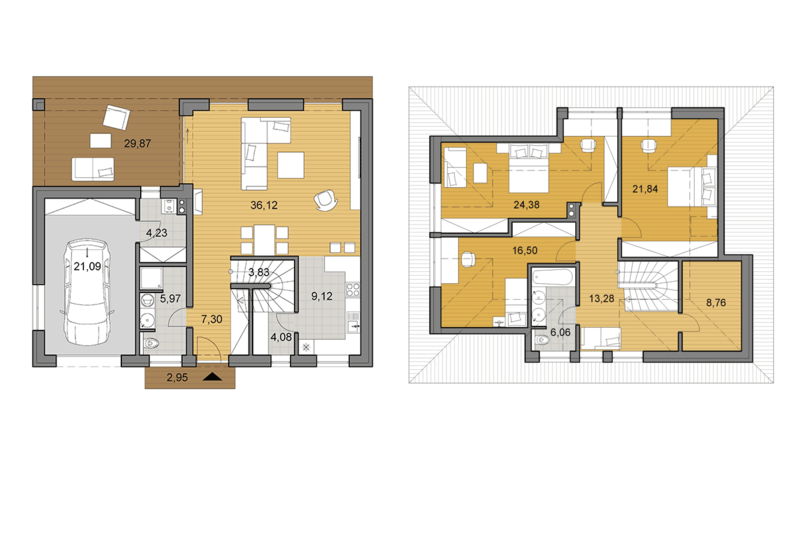 Ground floor consists of living room, which is connected with dining room, kitchen with pantry and toilet. There is also a garage with storage and utility room that are accessible from outside. 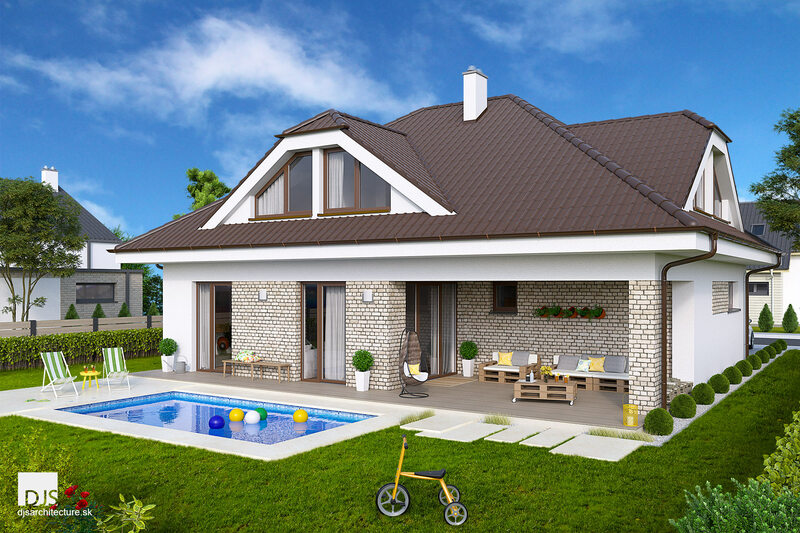 The living room's sliding doors open to a covered terrace. 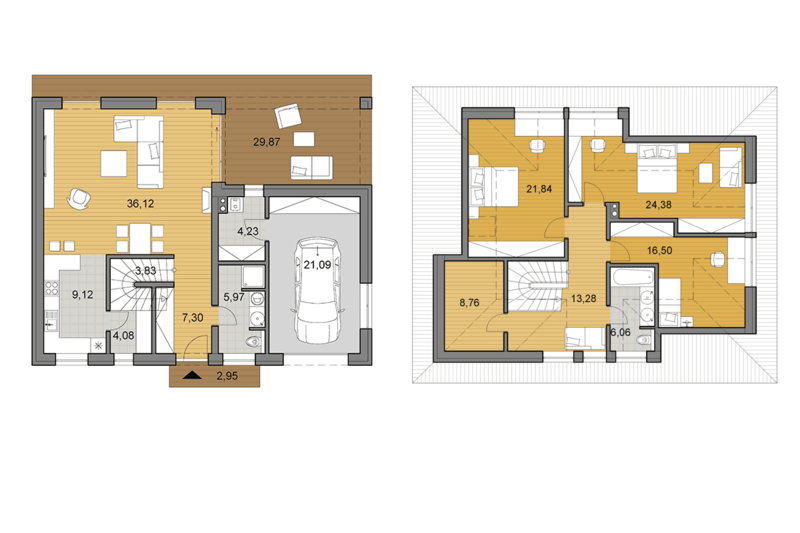 Upstairs, there are three bedrooms and bathroom with an extra storage space that can serve as a wardrobe. 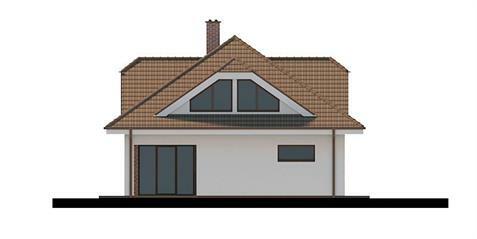 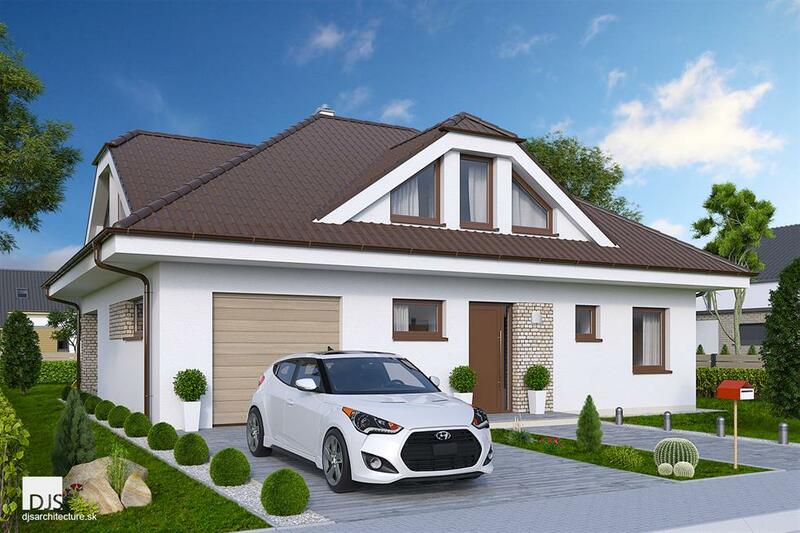 This house has low energy consumption for heating due to its very well optimized building constructions. The house is designed as a combination of white plaster and brick cladding of beige color. 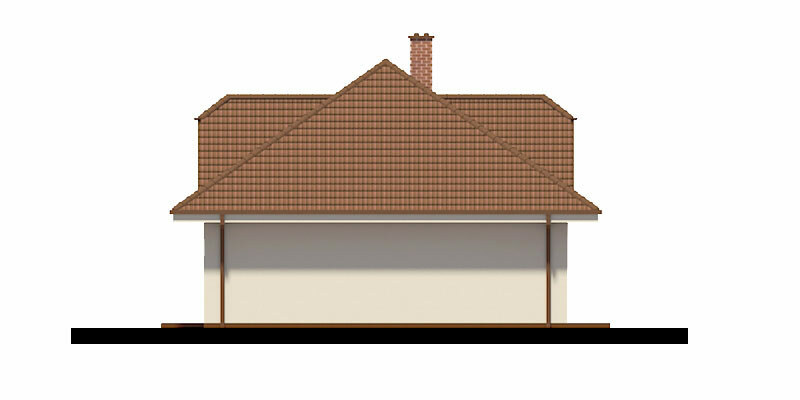 The roofing is concrete of brown color, the windows are wooden of natural dark color.